The first completely electric Aston Martin was finally revealed, almost four years after it was originally announced. 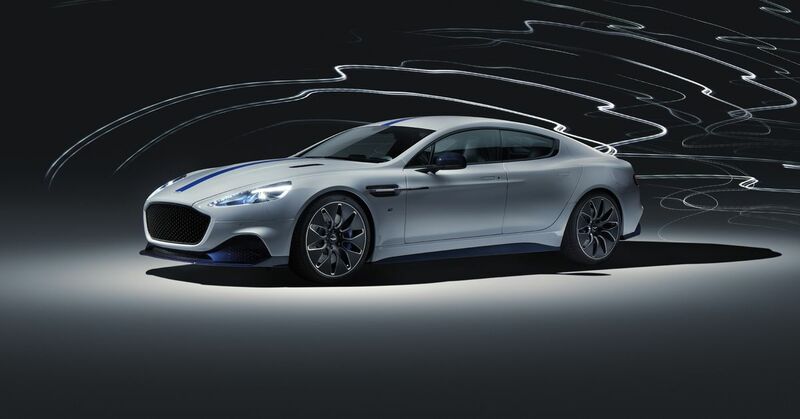 Based on the existing Aston Martin Rapide sedan, "Rapide E" officially debuted at the Shanghai Auto Show on Tuesday. Only 155 will be produced, and Aston Martin did not announce the price for the car. Driven by a battery with a voltage of 800 V, 65 kWh, Aston Martin estimates that Rapide E will be able to travel "over 200 miles" with a single charge. The twin rear axle engines generate 450 kW (or more than 600 horsepower) and can reach a top speed of 155 miles per hour. This will also happen quite quickly – Aston Martin claims that Rapide E will go from 0 to 60 miles per hour in less than four seconds (which is a tick faster than the standard Rapide S internal combustion). When connected to a quick charger, the car battery can be charged at 310 miles per hour. The car will be equipped with a 10-inch digital instrument panel behind the wheel, and an 8-inch display mounted in the center of the dashboard will cope with information and entertainment duties (with physical buttons under the center console, reflecting the layout of the latest Rapides). Both Apple CarPlay and Android Auto will be supported. On the outside, Rapide E mostly resembles a car with a combustion engine on which it is based, with the exception of some blue accents in the headlamps and brake calipers. Under the hood are things that are the most different. The battery system has been designed in a space in which V12 engines, a gearbox and a fuel tank normally work. This means that Rapide E does not have a full floor, e.g. Tesla. This reduces design and engineering costs, but ultimately limits the number of battery cells (and maximum capacity) that can fit in the car. In the end, Rapide E weighs 4717 pounds, or 400 pounds more than the internal Rapide S.
Rapide E was announced in 2015, when Aston Martin was experiencing large cost cuts that led to hundreds of layoffs. To launch the Rapide E project (called "RapidE" at the time), the British car maker received funds from Chinese financiers. Then, in 2016, Aston Martin announced that he would build a car with the Chinese technology conglomerate LeEco – a company founded by Jia Yueting, which also he founded (and now leads) EV Faraday Future's struggles. Rapide E in the village of St. Athan in South Wales. It is also the place where Aston Martin plans to build completely electric vehicles from Lagonda, a recently resurrected sub-brand dedicated to electric vehicles. Aston Martin calls the plant in St. Athan, the company "Home of Electrification".